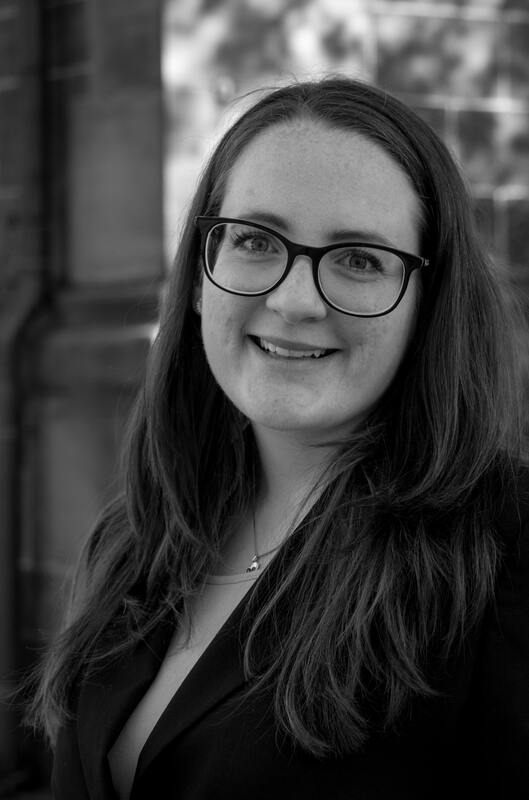 Anna Starkmann is a research associate at the Chair of Multi-Level Governance since September 2016. She works in the research project "Towards an Increasing Regionalization of International Politics? Comparing the Development of External Competencies of Regional Organizations over Time", funded by the Fritz Thyssen Foundation, from September 2016 to August 2018. She received a B.A. in European Studies from the University of Passau and completed a M.A. in Political Science at the universities of Heidelberg and Aarhus, Denmark. During her studies she worked as a student assistant at the Department of Political Science, University of Heidelberg and the Mannheim Centre for European Social Research (MZES). 2019: "The Regional Dimension of Climate Politics. Exploring Climate Approaches of Regional Organizations", 60th ISA Annual Convention, Toronto, 30 March 2019. 2019: "New Partners for the Planet? EU-China cooperation on climate change from a role theoretical approach" (with Julia Gurol), 60th ISA Annual Convention, Toronto, 27 March 2019. 2018: "Regional Layers of Polycentric Climate Governance. Investigating Global-Regional Interactions and the Regional Dimension of Climate Politics", Junior Researcher Conference at the Freiburg Institute for Advanced Studies (FRIAS) "Polycentric Climate Governance after Paris: Expectations, Challenges and Pathways", Freiburg, 13 April 2018. 2018: "Emerging Environmental Regionalism: The Development of Environmental Policy Competencies of Regional Organizations", 59th ISA Annual Convention, San Francisco, 7 April 2018. 2018: "Responding to Problem Pressure: When Do Regional Organizations Change?" (with Prof. Dr. Diana Panke), 59th ISA Annual Convention, San Francisco, 6 April 2018. 2017: "Responses to Crises: How Regional Organizations Change", (with Prof. Dr. Diana Panke) & Presenting a dataset on regional organizations, Workshop "New Datasets on International and Regional Organizations – Inter-Operability, Best Practices, and the Way Forward", University of Göttingen, 6 Dezember 2017. 2017: "The Regionalisation of Global Climate Politics: Explaining the Emergence of Regional Organisations' Climate Change Competences", 11th Pan-European Conference on International Relations, Barcelona, 14 September 2017. 2017: "Responses to Crises: How Regional Organizations Change", (with Prof. Dr. Diana Panke), 11th Pan-European Conference on International Relations, Barcelona, 15 September 2017. 2017: "Greening Regional Integration? Accounting for Varying Environmental Competences of Regional Organizations", PhD Workshop "Comparative Regionalism: Theoretical and Methodological Advancements", Hebrew University of Jerusalem, 17 May 2017. 2017: "Think global, act regional? The Role of Regional Organizations in Polycentric Climate Change Governance", INOGOV International Spring School "Governing Climate Change: Polycentricity in Action? ", Heerlen, Netherlands, 31 March 2017. Stefan Artmann, Louis Conrad, Lukas Hassebrauck, Maximilian Jungmann, Anna Starkmann, Martina Větrovcová (2015): Auf dem Weg zur globalen Verantwortung? Die deutsche Außenpolitik im Wandel. Konferenzbericht zum Heidelberger Dialog für Internationale Sicherheit 2015. Zeitschrift für Außen- und Sicherheitspolitik 9(1), January 2016, 149-154.